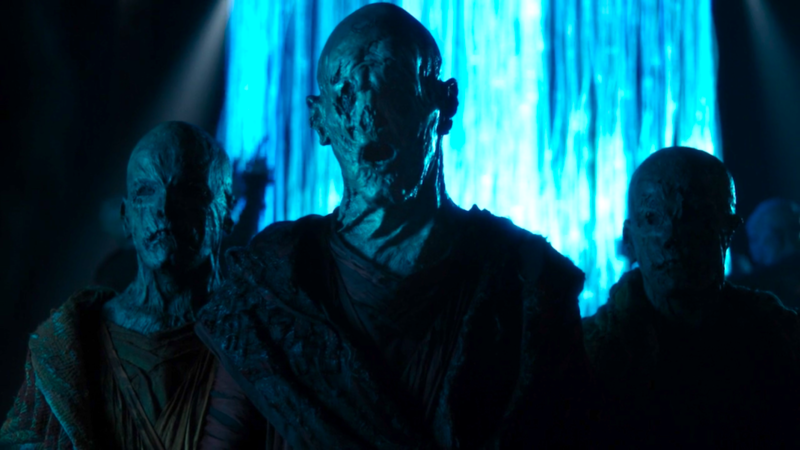 At the end of my discussion of “Extremis” last week, I said that, one of these days, I’d have to get around to discussing religion in Steven Moffat’s Doctor Who. Now I guess that day has come. 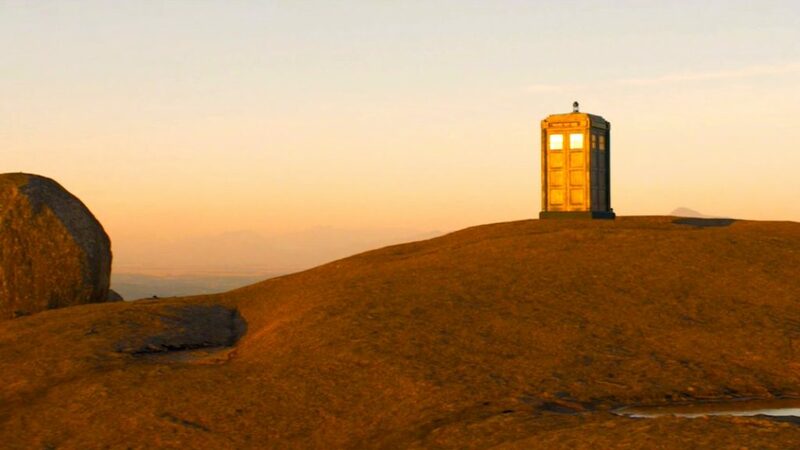 “The Pyramid at the End of the World”—written by Moffat and Peter Harness—is not as overtly steeped in church imagery and language as “Extremis.” (For one thing, the Pope is not traveling in the TARDIS this week.) But I’m convinced that, at its heart, Part Two of this story about the alien race known as “The Monks” is dealing with issues of religion. (Not theology, necessarily, or spirituality—which would be a whole other conversation—but religion.) And, looking back over Moffat’s era of the show—and indeed, all of New Who—we see some of these same questions and themes recurring time and time again. To be honest, I have doubts about my ability to tackle this unwieldy subject comprehensively in a reasonable amount of space. But, with Moffat’s era coming to an end, this seems like as good a time as any to give it a whirl. Settle in, folks: this one may take a while. To begin with, let’s simply acknowledge that Steven Moffat—an atheist, like previous showrunner Russell T Davies—is, at the very least, obsessed with religious imagery. This is perhaps most clear from the villains, monsters, and adversaries he has created. I could go on and on. There is the monstrous religious oppression of Gillyflower in “The Crimson Horror,” who preaches against “moral turpitude” and has convinced her daughter that sin makes her worthless. (“That’s nonsense,” the Doctor tells Ada. “Stupid, backward nonsense, and you know it.”) There’s “The Fisher King” of “Under the Lake“/”Before the Flood“—named for a Christianized Arthurian legend—who deals in “souls wrenched from the dead.” There is the constant repetition of “May the gods look favorably upon you” by the doomed, overworked crew members in the nihilistically bleak “Sleep No More.” There is the “Myth of the Foretold,” which leads people to try—futilely—to save themselves by confessing their sins in “Mummy on the Orient Express.” There is the phony, posturing god of “The Girl Who Died,” who asks “What is a god but the cattle’s name for farmer? What is heaven but the gilded door of the abattoir?” (The Doctor knows instantly he’s a fake. “Because what’s the one thing that gods never do? Gods never actually show up!”) There is the idea of the “Confession Dial,” which is intended to be used for “a ritual act of purification” that allows “a dying Time Lord to make his peace,” but which becomes a torture chamber in which the Doctor is trapped for a four and half billion years. But I’m (nominally) supposed to be discussing “The Pyramid at the End of the World,” so let’s talk about The Monks. They are—not surprisingly—in the same mold as a lot of other Moffat-conceived threats. Their name and their imagery, obviously, is quasi-religious—right down to their headquarters in a pyramid, with its implied promise of an afterlife—but the associations go beyond that. Their power, for example, seems to be virtually unlimited: they are very nearly omniscient—they know everything that has ever happened, and everything that will ever happen—and they are very nearly omnipotent. They are, in short, practically gods, and—like most gods—they have been created in our image. (“We have chosen this form to look like you,” they explain. “You are corpses to us.”) They present themselves—as the American commander, Col. Don Brabbit (Eben Young) says—as “guardian angels,” descended to save us, and protect us, “forever.” But—as the Doctor points out—their help has conditions. “To save you, we must be asked,” they say. To rule through fear is inefficient, they say, so they must be invited. “We must be wanted. We must be loved.” Impure consent means death: they demand absolute devotion and submission, without any hint of ulterior motives. Isn’t this what many religions demand? The Judeo-Christian God is vengeful—he rules in part through fear—but He is also “a loving god,” who demands love in return. (“Love the Lord your God with all your heart and with all your soul and with all your mind,” Jesus says in Matthew 23:37-8. “This is the first and greatest commandment.”) Christian preachers frequently rail against the dangers of “impure” faith, and speak of the need—though the phrases are not in the Bible—to “ask Jesus into your heart” (the invitation) or—more forcefully—to “give yourself to Jesus” (the total submission). I’m not going to dwell on all of this—I have neither the comparative-religion background nor the space—but I think the markers are fairly clear, especially given the iconography of the Monks and Moffat’s track record of presenting organized religion: the Monks are offering themselves as the new religion, promising security and salvation in exchange for absolute love and absolute submission. At the risk of trying your patience with yet another truncated encyclopedia of past references, I think any discussion of religion in Doctor Who is incomplete without considering the deification of the Doctor himself. “Oh my god!” Erica (Rachel Denning) exclaims, when the Doctor appears in her lab this week. “No, I’m the Doctor,” he says. “But it’s an easy mistake to make.” And indeed, it is an easy mistake to make, one that has been made persistently throughout New Who. And when human beings subjugate themselves through blind faith and obedience, it’s an outrage to the Doctor, whether they do it for secular or religious reasons. This is the reason he dislikes soldiers, who just follow orders. In Season One’s “Bad Wolf,” one of the producers of the murderous reality shows protests that they were just doing their jobs. “And with that sentence, you just lost the right to talk to me,” the Doctor sneers in contempt. He values independent thought and a questioning nature: complete submission to any higher authority is perhaps the greatest sin he can imagine. If faith is (as the Headless Monks say) the domain of the heart, I think we can agree that the Doctor’s domain is that of the head. To be fair, Davies was aware of the dynamic he was creating. 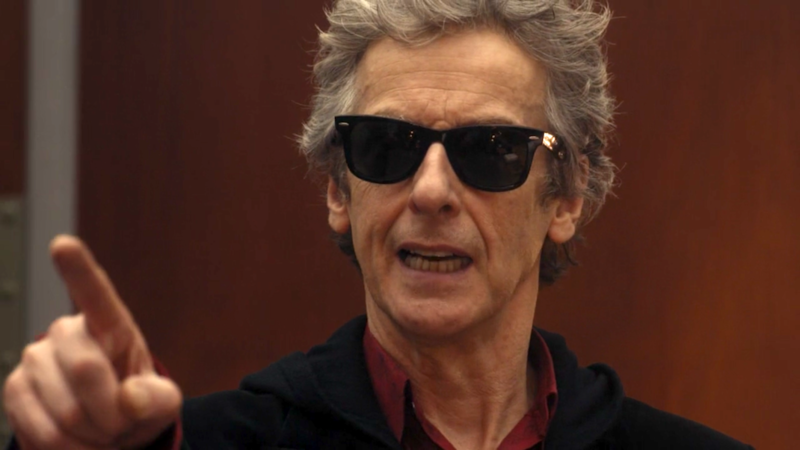 In Season One’s “Boom Town,” the Doctor says “Don’t worship me. I’d make a very bad god. You wouldn’t get a day off, for starters.” And in his correspondence with Benjamin Cook in Doctor Who: The Writer’s Tale, Davies says anyone who thinks he’s deifying the Doctor is missing the point. 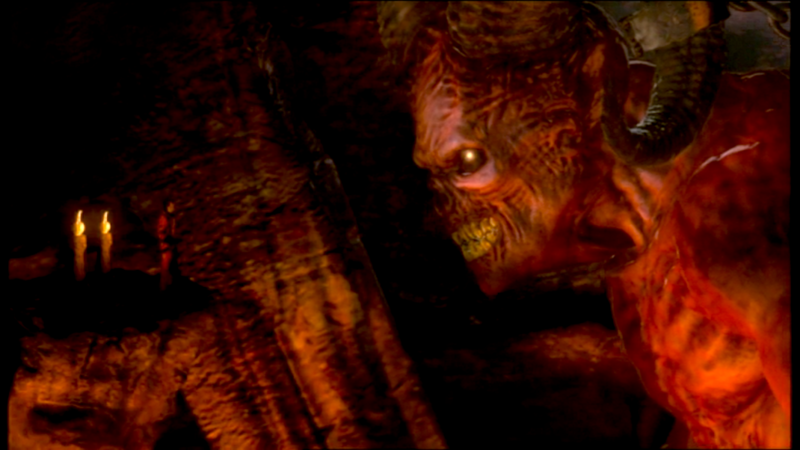 “Dumbos think that I’m turning the Doctor into God, when clearly I’m saying that God doesn’t exist, that we mythologise real people, events or aspirations into deities, and pay the price for it.” But if “dumbos” made that error, at least part of the fault lay with Davies and his inability to resist presenting the Doctor as a Christlike figure: it was, indeed, an easy mistake to make. This inherent tension persisted through the Moffat era. 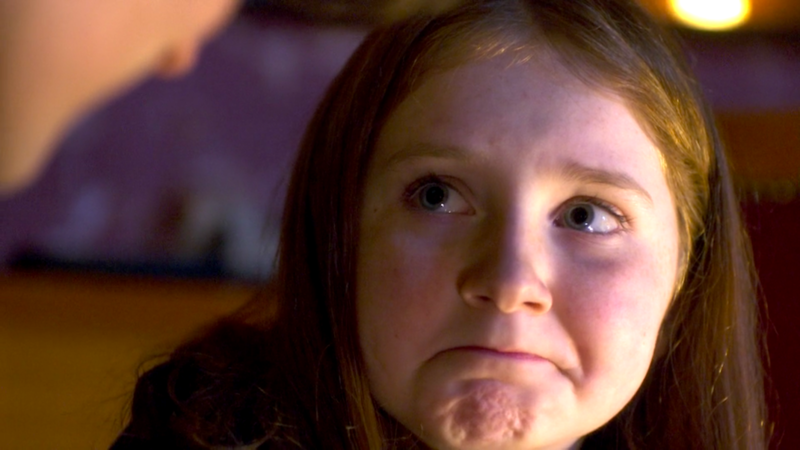 After all, Moffat’s Doctor is, literally, the answer to a prayer: in Moffat’s first episode as showrunner, “The Eleventh Hour,” little Amelia Pond is praying for help, to Santa, on Easter, when the Doctor crash-lands in her garden. (“Thank you, Santa,” she says, when she sees the Police Box.) 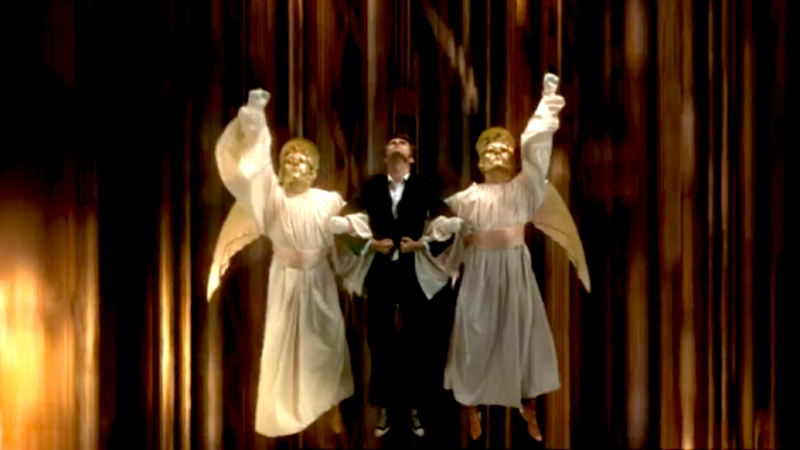 And this image of the Doctor as the answer to a prayer recurs a few times in the Moffat era. 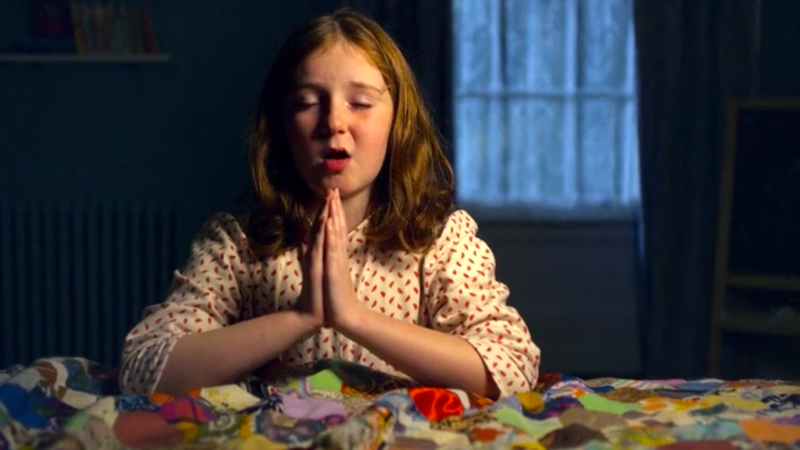 In Season Six’s “Night Terrors,” little George’s desperate prayer—”Please save me from the monsters”—magically reaches the Doctor somewhere in deep space. And in 2010’s “A Christmas Carol,” when poor people beg nasty Kazran Sardick for help, he mockingly tells them to “off home and pray for a miracle,” and at these words the Doctor tumbles down the chimney. 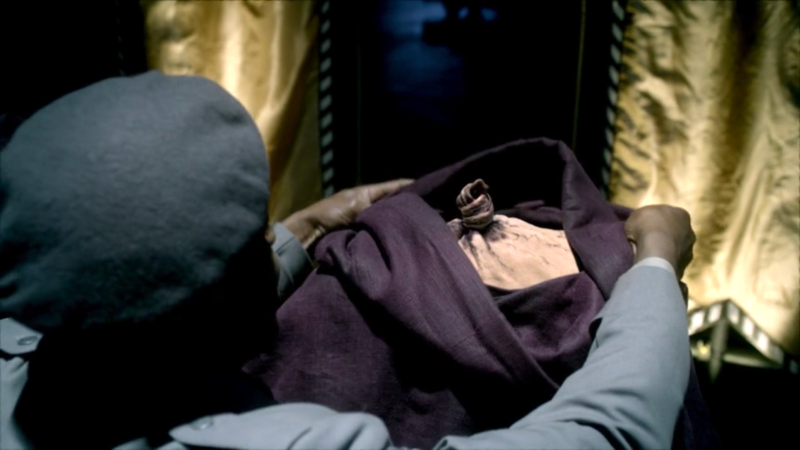 And Moffat’s reconstruction plan included deconstructing the Doctor’s image as an all-powerful god. “He is not the devil,” Colonel Manton told his Clerics in “A Good Man Goes to War.” “He is not a god. He is not a goblin, or a phantom or a trickster. The Doctor is a living, breathing man.” In that story, Lorna Bucket had joined the Clerics for the sole purpose of meeting the Doctor again—she joined the church to find the god—but her faith didn’t turn out to be justified: she was mortally wounded in a fight the Doctor missed, and she barely met him, just seconds before she died. Amy Pond—who summoned the Doctor through prayer in “The Eleventh Hour,” and resurrected him by sharing his story in “The Big Bang”—had her faith in the Doctor sorely tested as well. He had been the closest thing she had to a religion all her life, but he let her down, time and time again. Finally, he failed to save her baby, allowing little Melody Pond to be kidnapped by the church and corrupted into the assassin known as River Song. 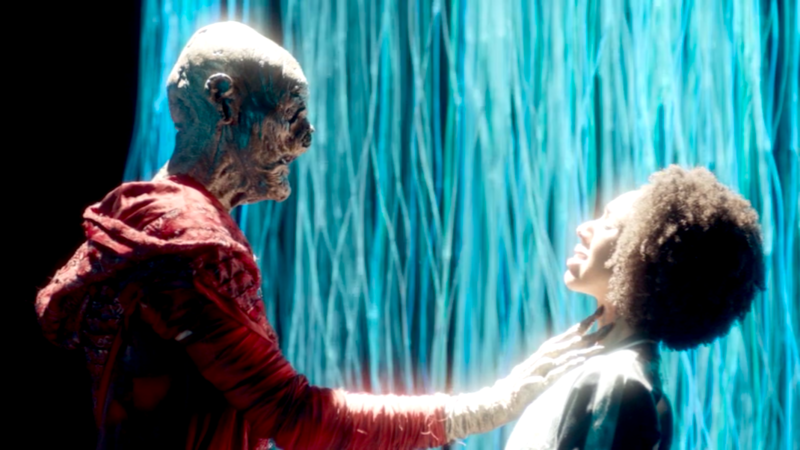 And, as I argued at the time, the narrative proximity of the Doctor’s experience with Amy to “The Rings of Akhaten” means that the Old God—”the Grandfather”—in that story can darkly be seen as a metaphor for the Doctor himself. It is a thing that thinks it’s a god, and is perceived as a god, but it’s really just a cosmic parasite feeding on stories and the life force of an endless series of young girls. Mistaking him for a god is always a mistake—whether the mistake is made by his enemies, his friends, or even by the Doctor himself. So I want—finally—to circle back and discuss “The Pyramid at the End of the World,” for the dilemma it establishes is essentially a lot of these same themes writ large. Of all the things Moffat has done in his last couple of seasons of Doctor Who, establishing the Doctor as the Secret President of the Earth is probably my least favorite. (This happened in “Dark Water”/”Death in Heaven”—also my least favorite Moffat story by a country mile—and it struck me as a gigantic step backwards towards the Doctor’s overblown celebrity status during the Davies era.) But it kind of works here, if only to establish the metaphor: basically, humanity is given a choice of embracing either religious submission to the Monks or the secular humanism of the Doctor. We could call it a choice between two divinities, but the Doctor has hardly ever seemed less like a god than he does here. Still blind, and living in fear, he is floundering a bit: he keeps trying all his usual Doctor tricks, and they keep not working. He tries trading on his reputation. (“We know you,” the Monks tell him. “Then you know there’s a line in the sand, and I’m the man on the other side of it. You want to keep me that way.”) But the Monks aren’t scared of him. He tries—somewhat uncharacteristically—embracing the use of force, to no avail. He tries brokering a peace treaty between warring nations, and that has no effect. But the Doctor is not really like the Monks. He believes in free will, not submission. (Here—as in the previous story from co-writer Peter Harness, “Kill the Moon“—the Doctor insists that humans must decide their own fate.) He is not really all-powerful, as this episode (and the entire Moffat era) have proven. He is always willing to help, but never to control, and certainly not to rule. He’s not a god: he doesn’t even mind the “impure faith” the humans show in him. And his personal, very human craving for love is tempered by the knowledge that, as he says here, “love is slavery.” That sounds like a harsh, cynical thing to say, but love is the domain of the heart, not the head, and unthinking devotion is the death of reason. Sometimes—as with Amy—love must be dissuaded, and loved ones must be pushed away. Love is—like the Doctor himself—blind. And it is love that leads Bill to make a terrible decision. It is important to note that Bill does not submit to the Monks out of fear, or out of faith, or even to save the Earth. The Earth—as she well knows—has already been saved. The Doctor got it done, and it wasn’t through any mighty display of magical powers, but through logic and science. He figured out the problem—which turned out to be humans playing god, accidentally creating a new life form—and puzzled out a solution in partnership with a human scientist. 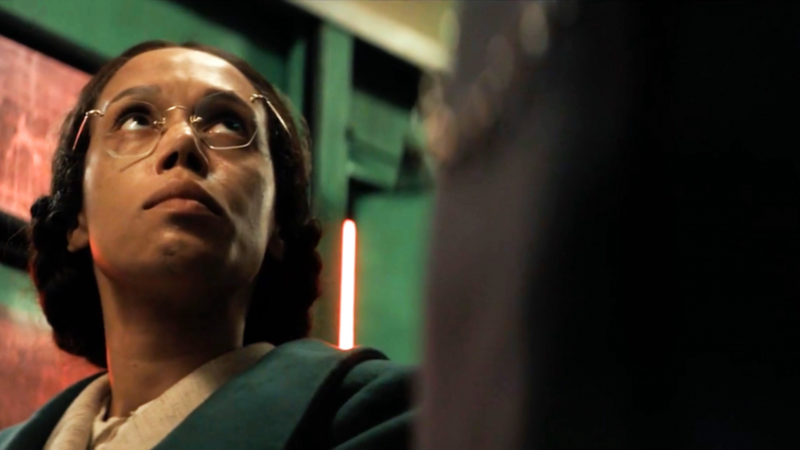 Bill doesn’t submit to the Monks to save humanity: she does it to save the Doctor. Bill’s time with the Doctor has been short, and she has never venerated him the way some other companions did. (He wasn’t her “lonely god,” or even her object of adoration: he was her tutor, and sometimes her embarrassing granddad.) Still, throughout “The Pyramid at the End of the World,” you can see Bill going through her own mini-arc of disillusionment with the Doctor. 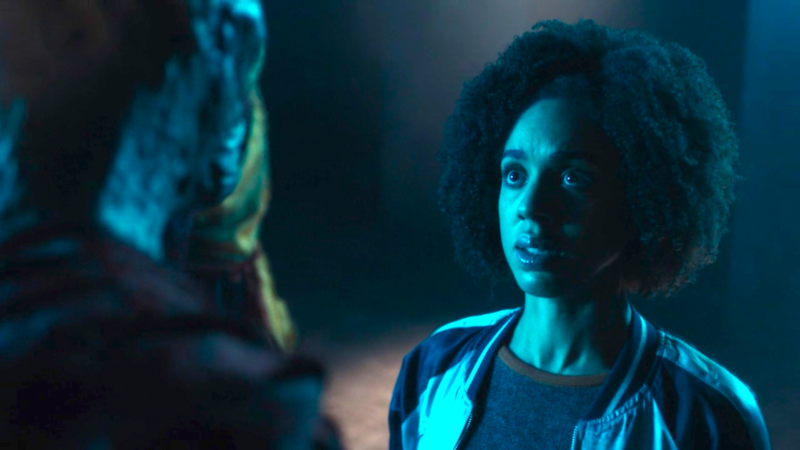 “What’s wrong with the Doctor?” she asks Nardole early, and as the story progresses we see her doubting him and questioning him as she’s never done before. (“Doctor, is it just possible they’re right?” she asks him, when the commanders want to submit to the Monks.) She sees him floundering, and her faith in him is shaken. Far from being the all-powerful, all-knowing savior, he becomes someone to worry about, and—finally—someone to save. 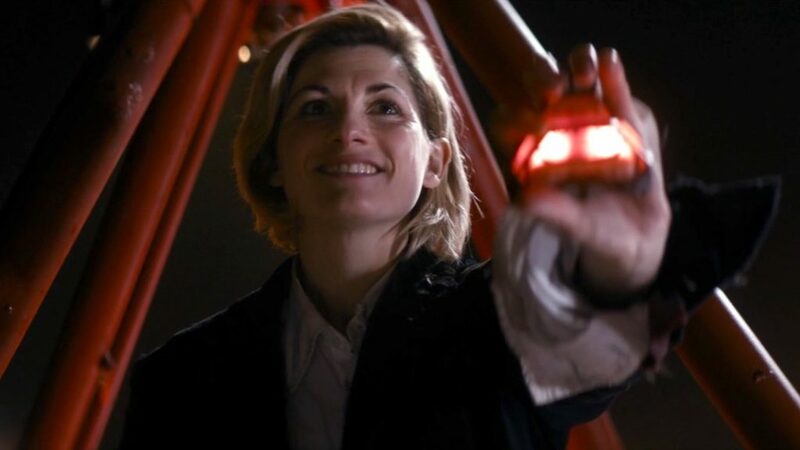 She sees him, in the end, the way he sees himself: he’s just a bloke in a box, a scientist and humanist, trying, with everything he has, to be a doctor. And so the decision she makes—though perhaps selfish, perhaps reckless—is very much in the spirit of the Doctor, and very much in the spirit of Doctor Who. We can argue whether she makes it from the domain of the head or the domain of the heart—it’s a little bit of both, certainly—but she does the humane thing, and the humanist thing. She makes her own choice—defying the Doctor’s authority—and she chooses to value the individual, the unique entity that is her friend. 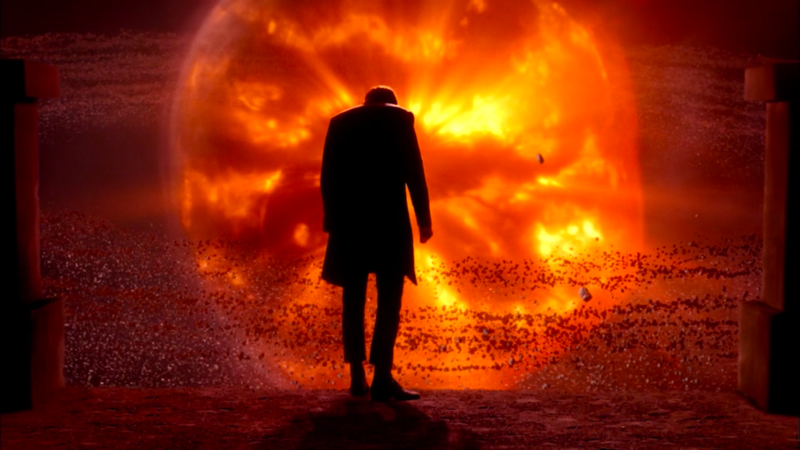 As the Doctor said to Merry in “Akhaten,” there will never be another Doctor, and getting rid of that existence wouldn’t be a sacrifice, it would be a waste. The Doctor, once, when confronted with something that claimed to be a god, bet on Rose Tyler. Now Bill, confronted with something that claims to be a god, bets on the Doctor. A minor gripe: the Doctor can reprogram robots, and write sentient software, and do a million other things with his sonic screwdriver, but he somehow can’t manage to shut off one stupid 21st century ventilation system? Or open a damn door? 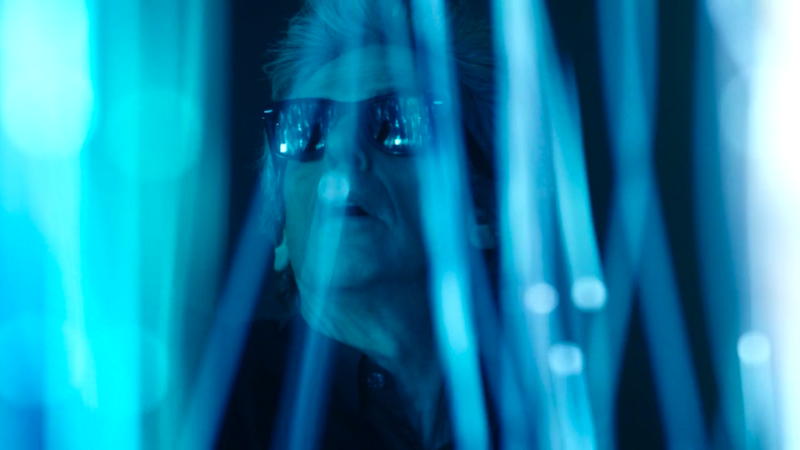 On the other hand, the bit where the Doctor and Nardole figure out which lab it is, by turning off the cameras and seeing which one turns back on, is the kind of clever I like. Here, at the end of this very long post, I find I’m not sure I arrived at a lot of iron-clad conclusions about Doctor Who and religion, except to say that the show comes down firmly on the side of individual people and independent thought. (I knew that already.) But that’s okay: like the Doctor, I haven’t seen everything yet, and we are obviously not done with this unruly topic: from the previews of “The Lie of the Land,” it looks as though we’re going to see what it looks like when the “church” of the Monks has dominion over all of humanity. Let’s talk more next week. Read all my Doctor Who posts here.